The first day of Spring calls for warm weather outfit planning, and in some cases, vacation planning! We are so fortunate to live in such a beautiful place, and very close to Palm Beach where we have been spending plenty of weekends and day trips. 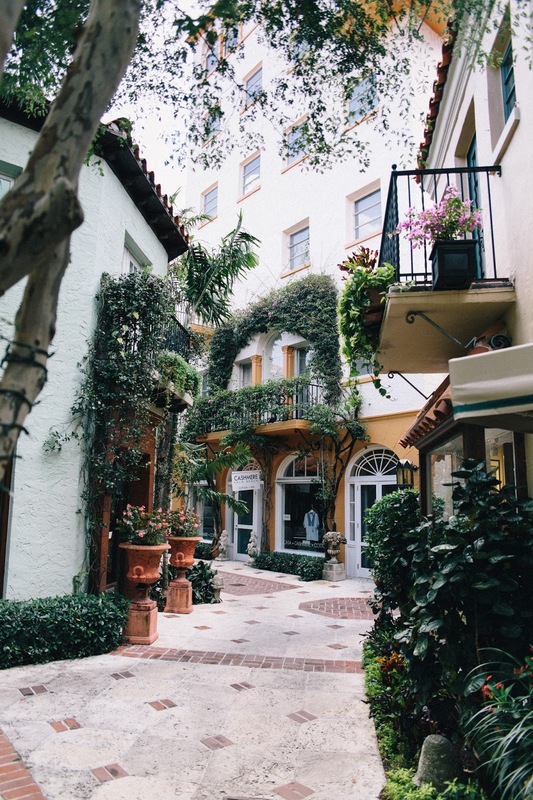 I think its the perfect place to relax, shop, dine, and enjoy the stunning scenery. I can't tell you how many times we've walked down Worth Ave without realizing there is another little world behind the main street. Each walkway is tucked behind the main street, eventually connecting you to each other. 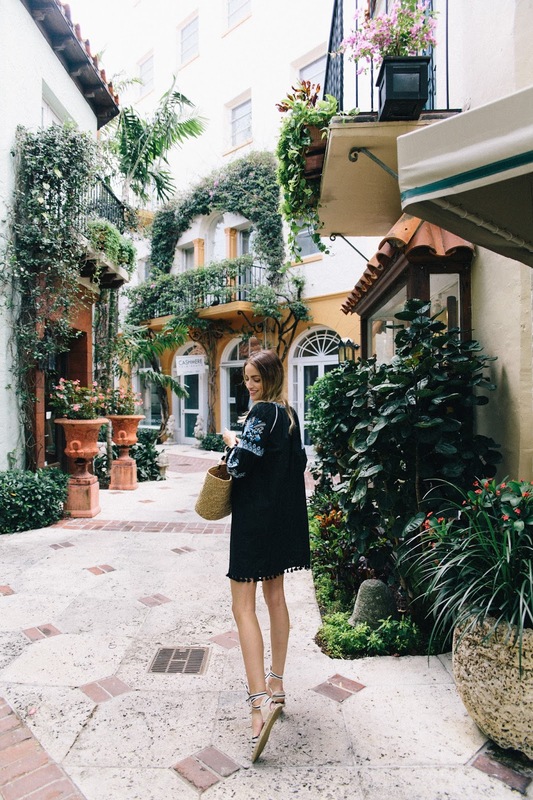 You'll find restaurants, and shops tucked away with flowers, fountains and cute little spots to sit and relax. I know what you're thinking, I talk about Palm Beach too much. Have I convinced you to take a trip here yet? I went out of my comfort zone a little with these adorable, pink sunglasses. Spring always makes me have an itch for color and fun, and whats more fun than pink sunnies? At one point of our day, Chris looks over at me and says "you really love those, don't you?!" I guess I ended up wearing them all day long without even taking them off. Judging by his concern, I suppose he wasn't all too fond of them. Ha ha! Anyways, I felt this whole look was the perfect way to jump into Spring. Be sure to check out Bloomingdales collection of 100% exclusives, I am dying for just about everything! I hope you all had a wonderful weekend, and thank you so much for reading. Thank you Bloomingdales for sponsoring this post.